when your precious plumbing is at stake? area, focusing on Macalester, Groveland, Crocus Hill, Highland Park, Midway and Como Park! We can help with plumbing repair, sump pump repair, water heater repair and installation service, bathroom & kitchen plumbing and more. We understand your plumbing needs because we have been building strong, loyal relationships with our customers for over 35 years in St. Paul, MN. 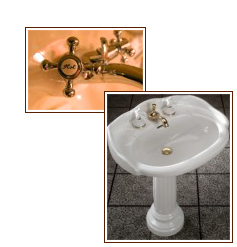 We are experts in repairing and installing plumbing in older homes. Everyone here at Kelly Plumbing & Heating takes great pride in the honest, open, straight forward approach we utilize in all areas of our business, both in the office and out in the field. Every job must come to a satisfying closure. After all, customers love to talk, and we give them something good to say about us after every job. 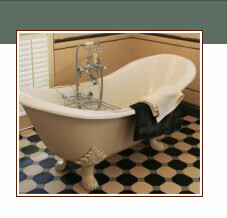 Kelly Plumbing & Heating in St. Paul, MN also serves General Contractors doing residential remodeling. We are licensed in over twenty municipalities and have the expertise to handle any remodeling plumbing challenge. We treat your client with the utmost in courtesty, communicate clearly, and complete the new construction plumbing job in a timely fashion. Contact Us TODAY at 651-699-1232. Ask for Barb, our friendly office manager. We are anxious to hear from you.